I completely agree that the Rococo style was different from the Neoclassical style because of their separate perspectives on morality. This difference is obvious to viewers when you notice the seriousness of Neoclassicism as opposed to the carefree depictions in the Rococo paintings. Also, I think it’s very smart of you to point out who these paintings were meant for! 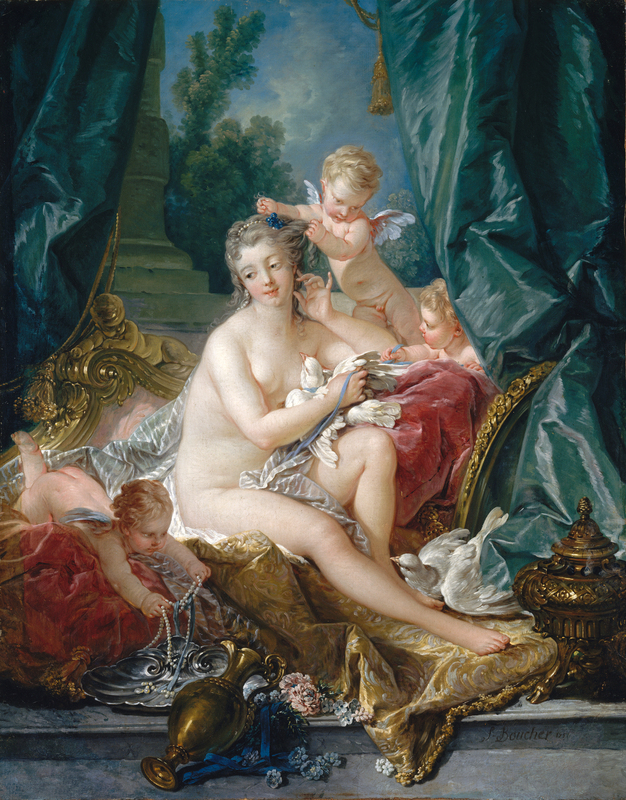 It makes sense that an aristocrat like Madam de Pompadourr would want a piece like “The Toilette of Venus” while Napolean Bonaparte would want an important historical scene. Personally, I like both styles, but I really enjoy the freedom that Rococo art exudes. The unseriousness is a nice change from such religious works from the Baroque era. 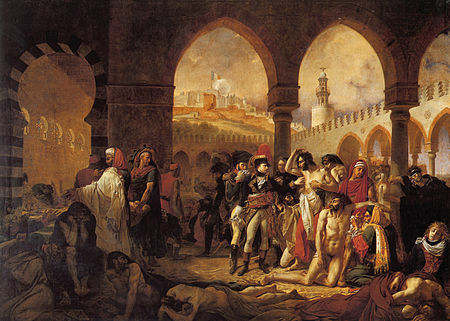 However, the scenes that the Neoclassical artists created are also great because of the stories they tell. 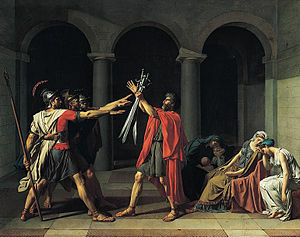 For example, “The Death of Socrates” by Jacques-Louis David is definitely worth looking at if you’re interested in how the great philosopher died.